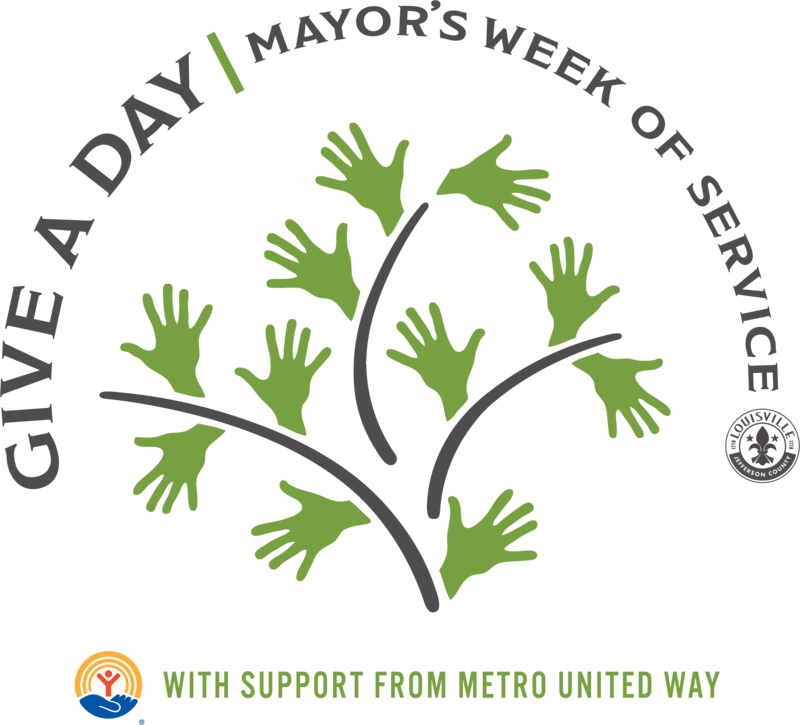 Mayor’s Give A Day Week of Service—a partnership with Metro United Way—is the signature piece of Mayor Greg Fischer’s goal for Louisville to be the most the compassionate city in the world. Each spring, volunteers span across Louisville to commit selfless acts of compassion. Neighbors clean up streets and parks, read to children, collect goods, repair homes, and much more, setting a lasting tone of compassion for the entire city. Give a Day 2019 volunteers and nonprofits worked together to achieve more than 205,000 acts of volunteerism or compassion. Your support will help us contribute even more in 2019! Your gift will help provide more than 100 nonprofits with the essential materials to meet their MGAD needs. From paint to plants, books to brooms, wood to wash bins—these simple supplies can make transformative impact. That’s why every dollar you give makes a difference! For more information or questions, please contact Janice Cates at Janice.Cates@louisvilleky.gov or 502-574-8135.